Clinic Synopsis: This clinic is designed to give band and orchestra teachers methods to successfully teach students technique in their first through third years of playing. However, these techniques may also be applied at the high school level. A student group of sixty second year band members from Jack Hille Middle School in Forest Ridge SD 142, Oak Forest, IL will be employed as a demonstration group. The ensemble was started by Ms. Sandy Kim, beginning band director in fifth grade. The ensemble is under the direction of Mr. Steve Nendza. Clinician Biographical Information Garry Anders has taught instrumental music in Missouri for 36 years. He has taught middle and high school for thirty and at the college level for six years. His teaching experience include Fayette, MO (AA), Odessa, MO (AAA), Grandview, MO (AAAA), and Missouri Valley College, a liberal arts school of 1,500 students. While at Grandview, Mr. Anders' bands performed at conventions of the Missouri Band Masters, National Association for Music Education, Missouri Music Educators Association, International Association for Jazz Education, and the Midwest Clinic. His band also participated in the Essential Ellington Competition in 2007. 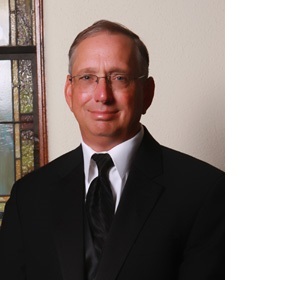 He has presented clinics for Missouri Band Masters, Missouri Music Educators, and the Midwest Clinic.